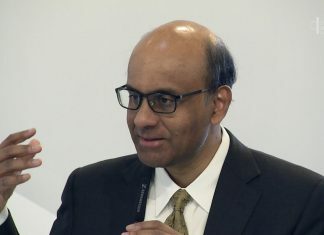 Dr Tan Cheng Bock’s chance meetings with ruling party politicians week after week has got the rumour mills buzzing, especially since the encounters come after Dr Tan announced his return to politics with his own opposition party. 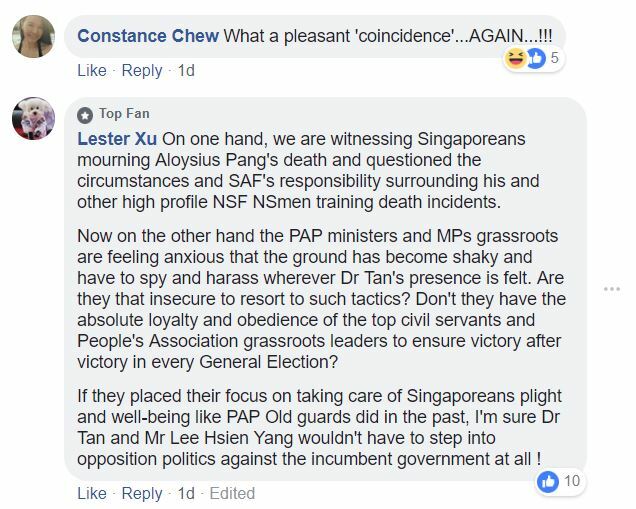 Dr Tan, an ex-People’s Action Party (PAP) MP with a 26-year career in politics, announced earlier this month that he is planning on contesting against his former party in the next General Election, with his new opposition party called the Progress Singapore Party. Dr Tan and 11 ex-PAP cadres have applied to officially register the new party. 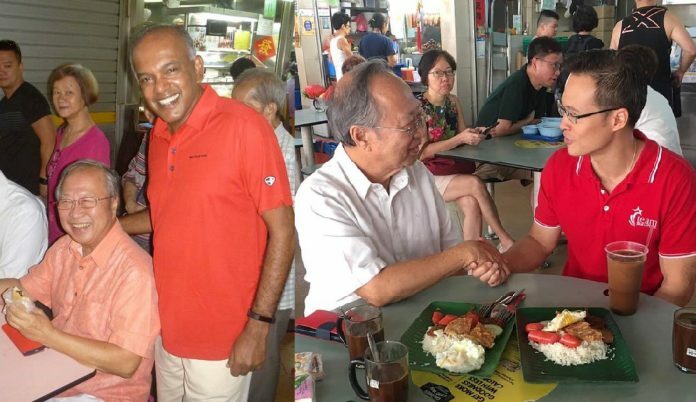 Dr Tan announced his return to politics on 18 Jan. On 19 Jan, a day after his announcement, he bumped into Law and Home Affairs Minister Mr K Shanmugam at the Chong Pang Hawker Centre in Yishun Ave 5. 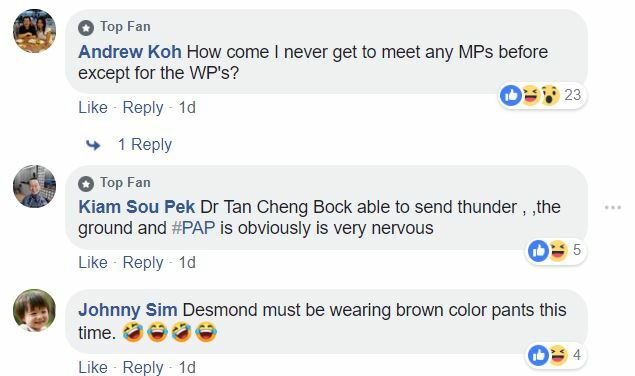 Last Friday, exactly a week after Dr Tan announced the formation of the Progress Singapore Party, Tampines GRC MP Desmond Choo bumped into Dr Tan at a food centre in his constituency.